Country of Manufacture: China Paper Size: 4" x 6"
I've always used Epson photo paper no matter what printer I'm using. I always get good prints. I whis you would have had the 4x6 paper 5 star rather 4 store. Paper to light. When printed curles up once out of my printer. I have great success with this photo paper! Even when I print with non-specific printers it still comes out crisp or at most displays the best quality of printer output. 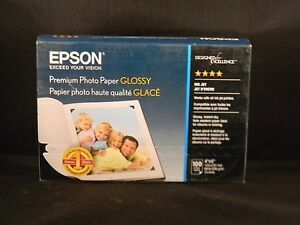 Go with Epson, never had any quality issues with their paper. These work well -- look like professional photos if printed on a good printer.